I always find it hard to walk past a forlorn, unwanted piece of furniture in the op shop. 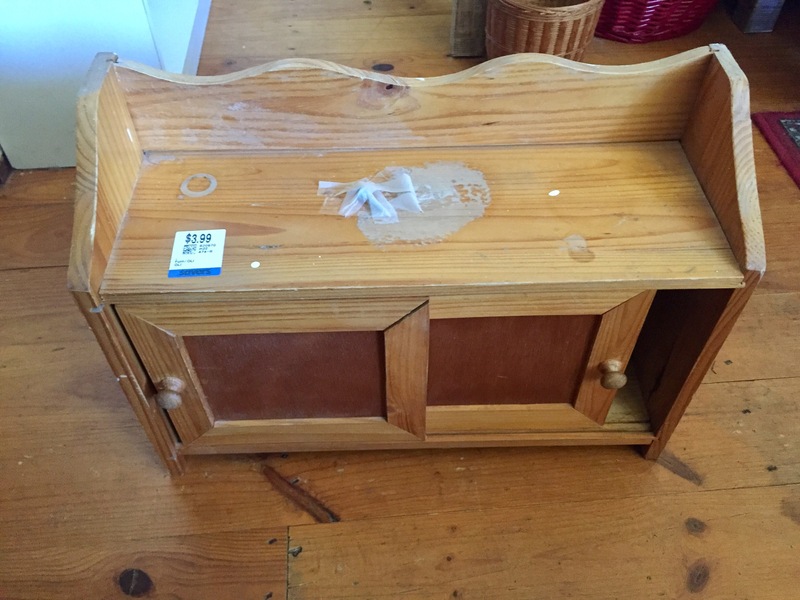 I’d been thinking of putting a shelf up above my bed for a while when I came across this obviously home made little cupboard in my local Savers shop for $4. This would be perfect! 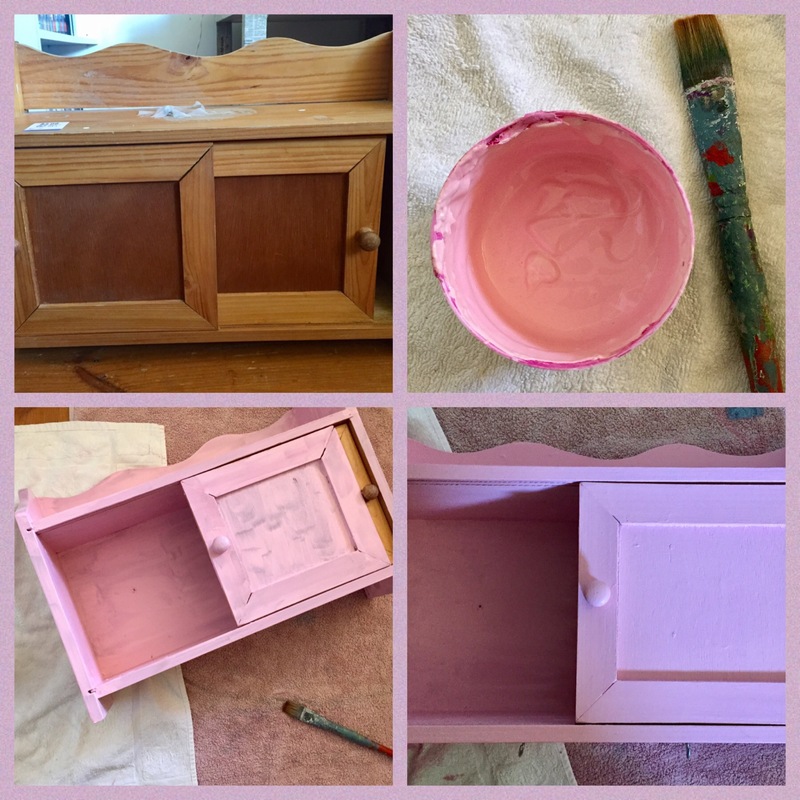 And all it needed was a light sand and a coat of paint…. 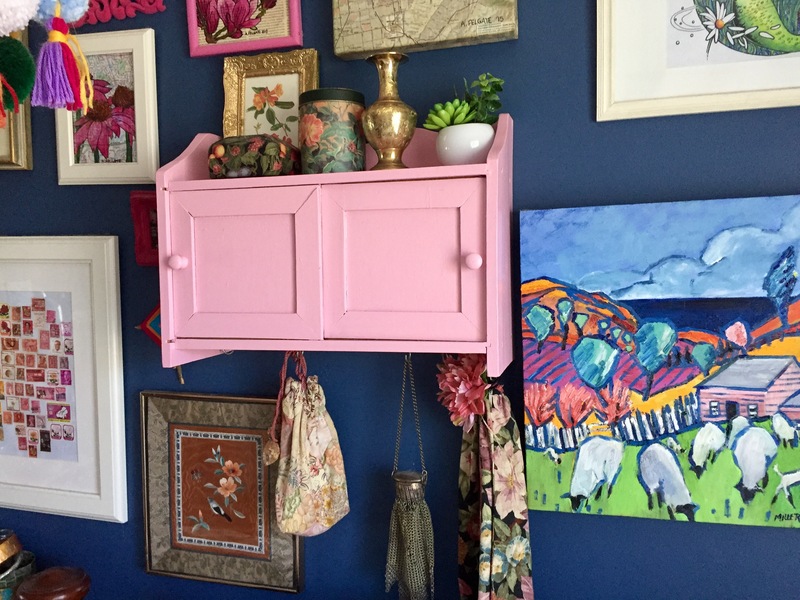 I went for a retro sugary pink colour that would stand out on my deep blue wall. I also added some cup hooks to the bottom so I can hang pretty things from it. 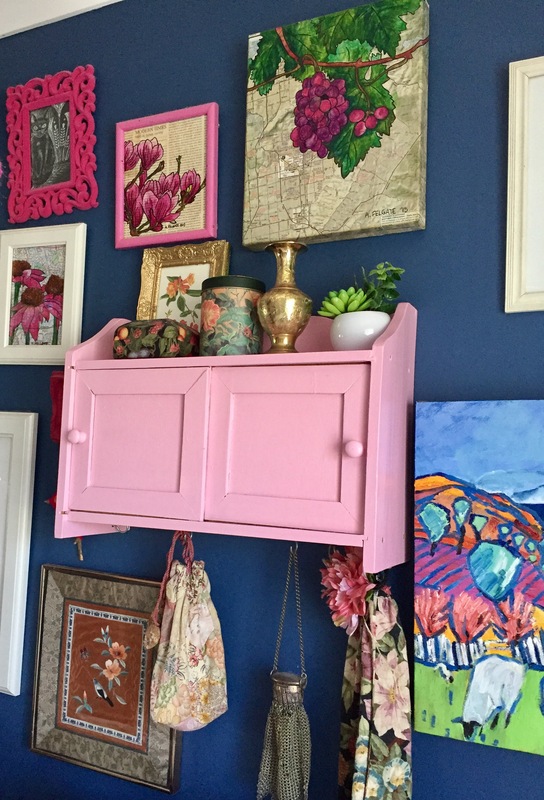 This entry was posted in Furniture Makeovers, Home DIY and Decor, Op Shopping, Upcycled Projects, Upcycling and tagged diy, furniture, op shop, op shopping, thrift store, thrifting, vintage. Bookmark the permalink. I’m glad you like it, thanks. I don’t know your circumstances, but good luck with your search for a future place of your own.